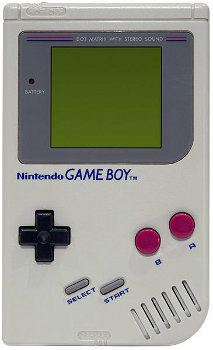 Yet another child has stirred up a bomb scare with his old school Nintendo Game Boy. What is it about the original Game Boy that makes kids want to turn it into a bomb? Last year, an 18-year old tried to boost his popularity by pretending one was an explosive device, and just recently another even younger child has done the same thing. NBC reports that an 11-year-old student of the Northside Intermediate School in Milton, Wisconsin was on a school bus and threatened to blow it up with a bomb. The student was holding a device with batteries and wires on it. Police were notified and other students were evacuated off the bus. A SWAT team and bomb squad showed up to negotiate with the child, who was convinced to exit the bus and leave the device behind. The bomb squad destroyed the device, though it didn't contain any actual explosives. It was simply an original Game Boy with a bunch of wiring and other materials attached, the Milton Police Department confirmed to Kotaku. School was cancelled for the day, and the 11-year-old was taken into custody. To all the kids out there, let's get one thing straight. Your Game Boy is not a bomb. It's a fun handheld from the 1990s that brought joy to millions of people across the world. Attaching excessive accessories to it is one thing, but please stop trying to deface its good name by attaching bomb-like materials. That's what the N-Gage is for.